The '60s are back in Topshop's new designer collaboration. The Topshop Mania train rolls on ... now guest-starring legendary designer Barbara Hulanicki, the founding designer behind the iconic '60s line, Biba. The new Barbara Hulanicki for Topshop line is now available in Topshop's still-ridiculously-overcrowded (hint: we went at 8PM last week and it was much, much better) Soho store—or you can shop the entire collection on their website from desk right now. (We're sure you're working hard.) Topshop is making much of the new collection, heralding Hulanicki as "one of the most iconic figures of British fashion." It's probably true: Biba's swingy, chic-and-loose style really cemented the '60s and '70s look, particularly in England. 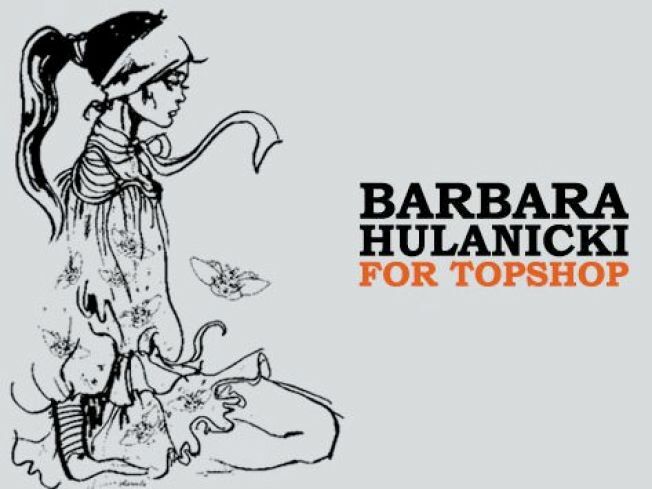 That said, Hulanicki certainly isn't a household name—especially here in the U.S.—and it's interesting that Topshop's been very careful not to make this "Biba for Topshop." That said, it still has Biba's signature youthful appeal—particularly in the flirty, printed playsuits and floaty tops. The also cleverly put together a buyer's view of the launch yesterday, so you can see the in-store display for yourself.